Obituary for Violet Roberts (Gushue) Sparkes | W. J. Dooley Funeral Service Ltd.
With deep sadness we announce that Violet Sparkes, in her 93rd year went to be with her Saviour on Tuesday, September 4, 2018. Born on October 13, 1925 in Brigus, NL, Violet was the daughter of the late Leonard and Edith (Efford) Gushue. Mom was known for her kind and generous hospitality to strangers and family alike, all were welcome at her table. She was also known for her deep love of children which was displayed by her loving, compassionate and kind personality. Mom’s first and only love was her faithful husband and companion of 75 years, Noah Sparkes, her sons Harold (Viola), John (Brenda), Arnold (Brenda), her daughter Bonnie (Allan) Gallant, her 11 grandchildren, 13 great-grandchildren and 3 great-greatgrandchildren. Also surviving are her sisters Lillian and Mary, nieces and nephews. She was predeceased by her sisters Jessie, Florence, Gladys, Jean & Doreen: brothers Bart, Harold & Leonard, and now reunited with her three infant daughters. 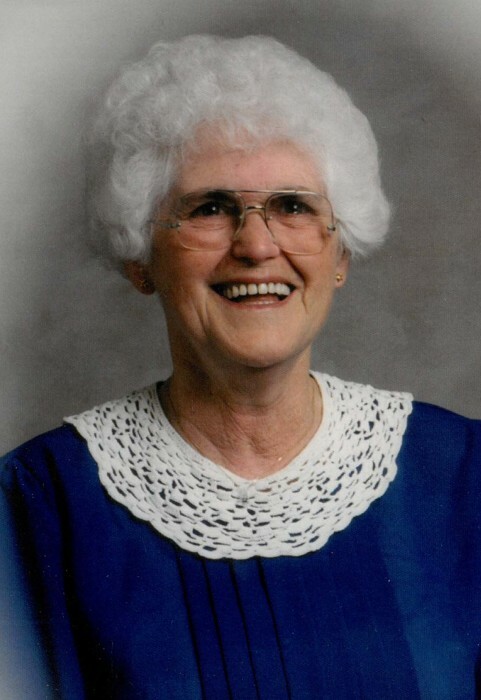 Visitation for Violet will be held 2-4 and 7-9 p.m. today (Thursday) in the W.J. Dooley Funeral Home, 107 Pleasant Street, North Sydney. A celebration of life will be held 11 a.m. Friday at the Northside Baptist Church, Sydney Mines, with Violet's son Pastor Harold Sparkes officiating. Reception will follow the service. Private family interment at Lakeside Cemetery. Memorial donations may be made to Northside Baptist Church or charity of choice.